Our Brand Spotlights are where we share the stories of the people behind the brands that we carry. More than just buying a product, we want the Withered Fig experience to be deeper in purpose and meaning. We want you to know the people behind the brands that have made this their living. 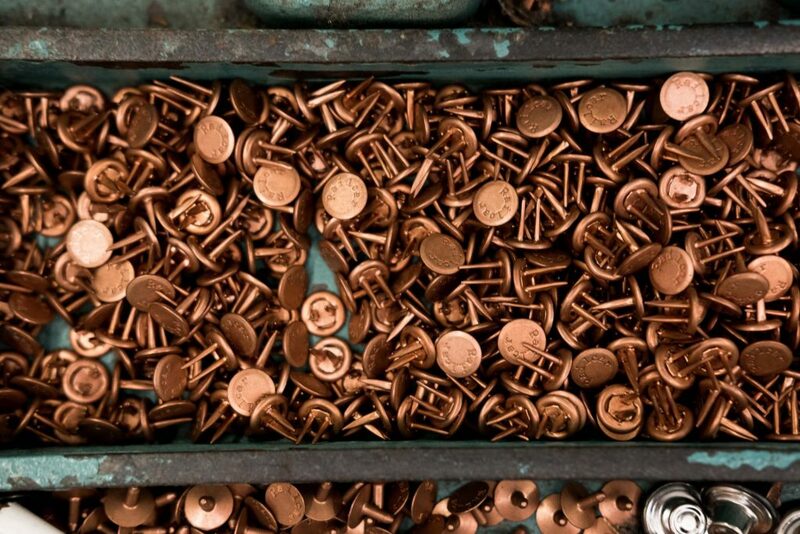 It is the men and women, from the top to the bottom, the owners, the designers, the cutters and sewers, that encompass everything that each brand is. As such, we hope that the stories we share will not only help you learn a little more about what makes each brand unique, but also encourages you to pursue your passions as well. 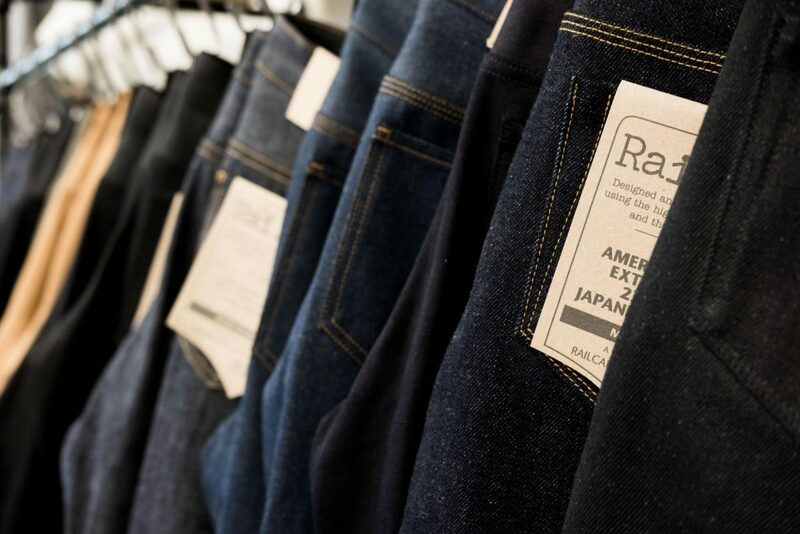 Railcar Fine Goods has really expanded their business in the last couple years from their core of denim to introducing shirting, apothecary, and to opening up their retail and barber shop. 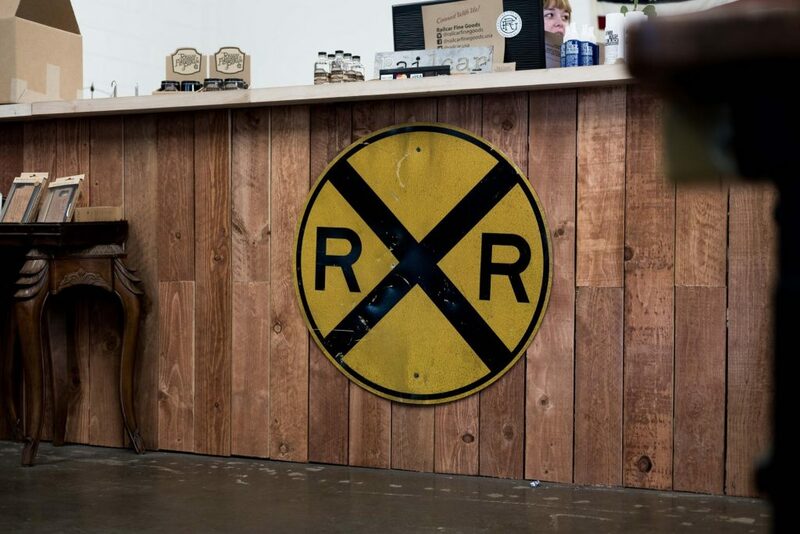 Railcar is unique in that all their clothing is made in-house from the initial cut of the fabric, to the sewing, to the final assembly for packing and shipping; and it’s all done out of their 5,000 square feet building in Monrovia, CA. When you start talking with Steven, the owner of Railcar, the immediate thing you’ll sense is his sincere enthusiasm for the work that he does in making quality clothing. 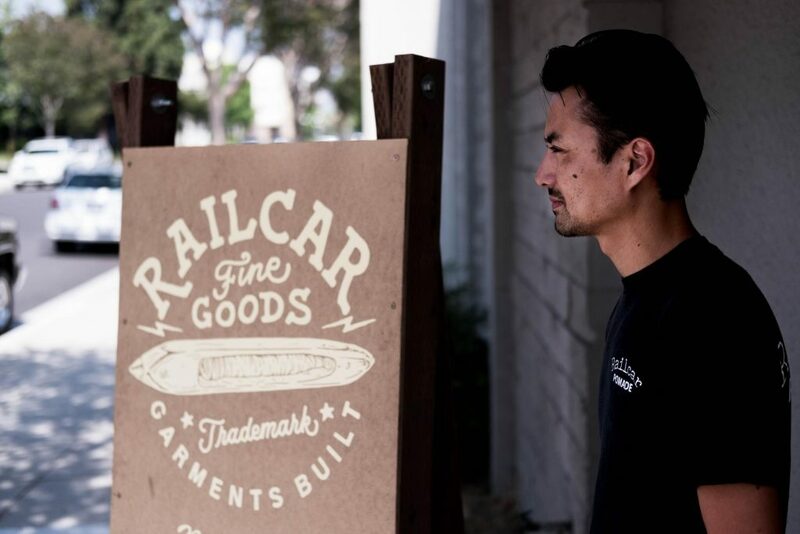 We sat down with Steven Dang [S], founder and designer for Railcar Fine Goods, at their store and factory in Monrovia, California about how perspective on making clothes, managing a small business, and his favorite breakfast burrito in Monrovia. In the past you said you’ve considered yourself more of a builder/fixer of things rather than a designer of clothes. Can you tell us what you consider yourself as and what that means? S: I think I consider myself more as a maker rather than a designer. But probably in the last year, I started to design. First I had to master all the seams, stitches, and the machines. I had a collection of machines that I needed to rebuild and figure out how to use. The design comes after all that. I think I’m more of a maker of stuff, not only clothes, but other stuff – cars, motorcycles, and even home improvement. I just like to make stuff. It Just so happens that clothes, pants, jackets, and shirts is what I make a living doing. 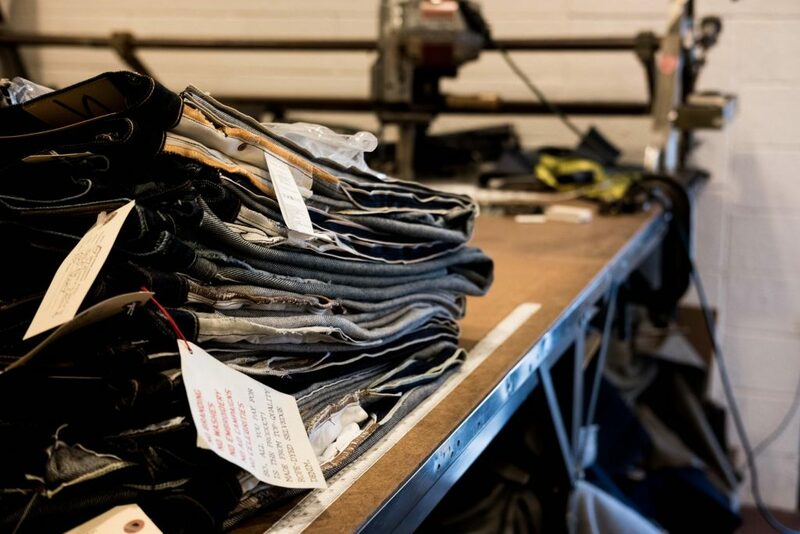 How did you learn how to make denim with no prior experience? S: I really don’t know because I didn’t come from a sewing family. My dad was an Air Force fighter pilot and a mechanic, and my mom worked an office job. I came from a mechanical background and started working cars when I was 15. I guess it was just trial and error. How do you translate your ideas for the construction, such as the specific angles and cuts, to the rest of the team? S: Since we’ve been doing this for a good bit now, a lot of our details that I like, the sewers also like. It all kind of translates out. The stitches and the angles of how we like stuff, it was kind of an organic osmosis with everybody else to have the same style. Even when Taylor [Steven’s niece] first started with us, this was not her thing. She was real fancy at first. Then she got into one thing, then another, and now her style has basically changed. So it’s definitely more of a team effort here. It’s nowhere near just me. Now that you also “design” clothes, how do you approach design of new denim or shirts? S: For the shirts, I actually design it as I go along. I have a general idea of what it will look like, and I’ll cut the whole production on its first run. Then I’ll design the stitches and the angle of the stitches as I am making it. I really don’t know what the final product will look like until most of them are done. So it’s all very organic. It all comes out looking like it’s from the same collection because we started making stuff that comes out naturally. This is one of the reasons I don’t like being in downtown [L.A.] because as much as I can, I try to ignore what’s going on around me and stick to our own team, our own game and how we do things. I think within the last two years a lot of brands’ identities were identified. It’s good to see that everyone has their own brand identity. How would you describe Railcar clothing, and how do you decide to introduce a new product in Railcar’s line? S: The aesthetic is vintage-inspired – the shapes and color palettes, but at the same time are all very modernized in the fit and finish. A lot of my machines are modified; they didn’t make 23oz denim a hundred years ago on those machines. It just doesn’t work that way. On new clothes, it’s all kind of random. For example, Taylor wanted a jacket and so we made a jacket for women. Then she wanted a skirt and so we made a skirt. We just make what we want and if it works out, we offer it to the public. Nothing is pre-meditated. We don’t have a plan where we release five men’s pants before a women’s pants. Think about it, we released a 23oz in the summer – none if it is calculated. It’s just whatever we feel we want to make at the time. All of our stuff is non-seasonal. Is there anything you’re really excited about for Railcar going forward? 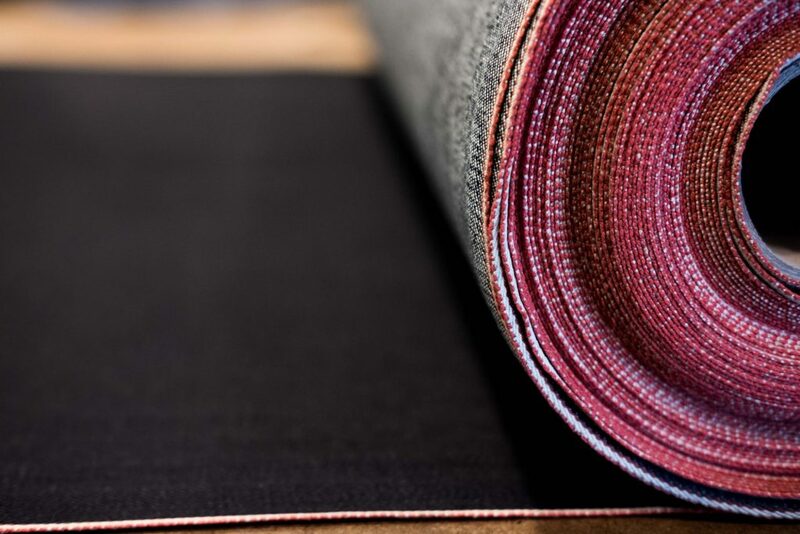 S: Our new proprietary fabric has been something that we’ve been working on for over a year. We wanted something that was timeless and not gimmicky. I wanted to do a dark indigo slub, with the right texture. There’s some denim that’s too crispy, and there’s some that aren’t crispy enough – drapey and feels almost a little wet. It’s definitely the texture, the yarns, and the dye process that I focused on. For me, it has the right amount of filler coming out, so it’s not all black. There’s a little amount of white coming out. A lot of the slub you can see in its raw form, but I think you’ll really begin to see it come out as it wears. I think it’ll work for a lot of different fits and even jackets. We’re definitely going to make a chore jacket out of it – maybe a different design with a same fit same block, but maybe some different pocketing designs. But that’s what we’ve been working on and will be our core style going forward. Since you mentioned you take up projects in a very organic approach, what is your main inspiration? S: A lot of my inspiration comes from old car stuff, work uniforms, and military stuff. My father was a fighter pilot, so that’s why we have our trousers named the “Flight Trouser” and the tag on the back an A-1 Skyraider Jet, which my dad flew. So a lot of the clothes are based off of what I feel at the moment. Everything is a lot of work. For the public, it may seem like everything happens real fast. For example, the Jeep I’ve had for three years; my Cadillac I’ve had for ten years; and my barbershop – all of the signs and fixtures, I’ve been collecting for four years. So while it took a lot of time, it’s still very organic at the same time. Similar to the shirt-shop project, I’ve been collecting all those machines for five years and we really just dialed down our shirting project in the past year. So it took four or five years in the making to make it reliable. 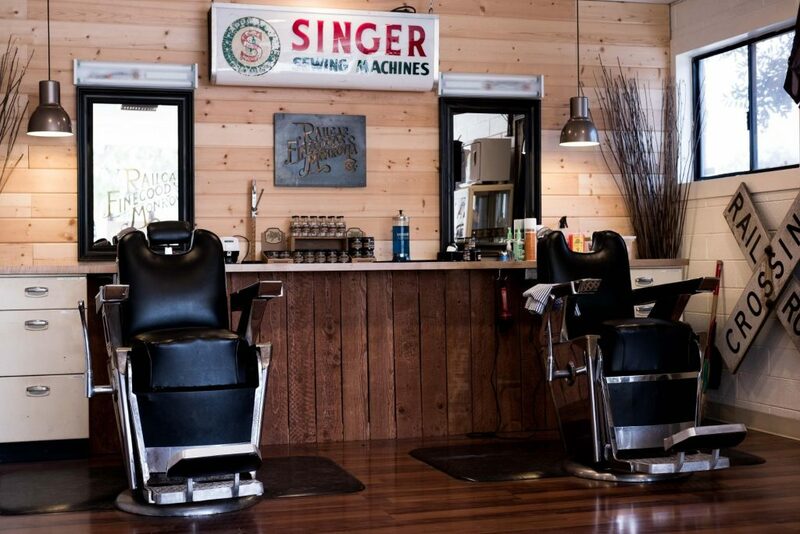 Can you tell us about the barbershop and your denim repair services? S: We sort of just do stuff because we wanted it. I wanted to have a barbershop, a retail shop, grooming products, etc. and I just take up project after another project. 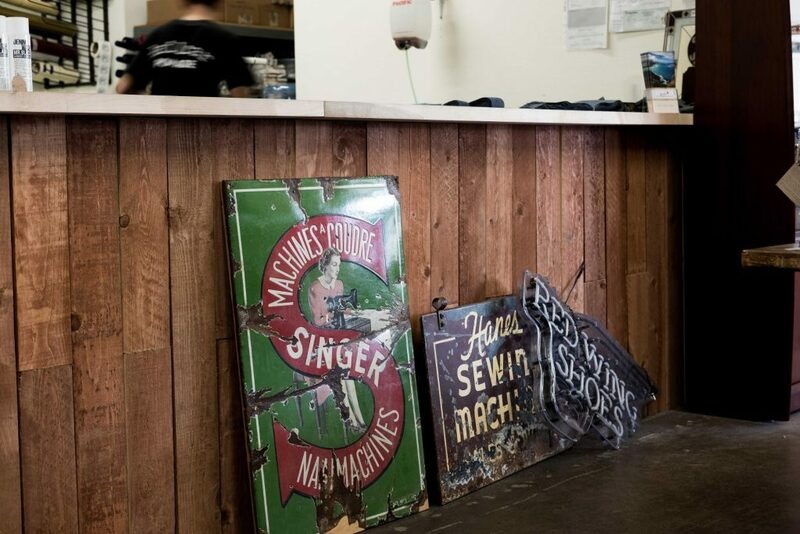 Since we make jeans and we already had all the sewing machines, it made sense for us to do alterations and repair services. I think we do them the best because we do know how to make them from scratch. 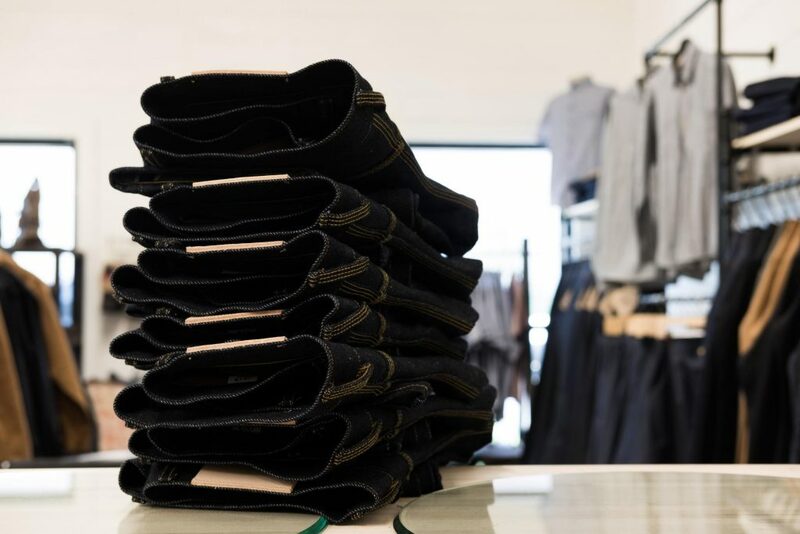 Our alterations are as seamless as new pair of jeans; it’s not really an alteration, it’s more of a rebuild. Later, we wanted shirts in the line and so we made a shirt-shop to manufacture them. Now that it’s all dialed in, we can just come up with shirts fairly easy in-house as well. With my dad being a mechanic, he wore Red Wing boots. So I grew up seeing those [Red Wing] boxes all over my garage when I played in there. So later when I started the retail store, I thought it’d be cool to have some boots. I was drawn towards Red Wings because of my dad. Everything is gravitated towards quality. Basically, do stuff, buy stuff, stock stuff, and make stuff because of the quality. Backtracking a little bit, but how long has Railcar been operating? S: I started in 2010 from my house with three sewing machines, which became five, then ten. Down the neighborhood I found an office they were renting – 500 sq. ft for $500/month. I moved into there with a one-year lease, and that’s when Sandra [one of Railcar Fine Good’s sewers] started to work with us. But we only stayed there for eight months because we bought way too much crap and we outgrew it. So then we found the Arcadia spot, which was 1,000 sq. ft. One day we were out for lunch and the door where the [current] cutting room is, was for lease back there. It was 2,000 sq ft. and so we moved in there. In the front was a jiu-jitsu gym and when they moved out, we moved in. The whole thing is about 5,000 sq ft.
How was your experience in making that transition from a train mechanic to starting up a menswear company? S: It’s always the most simplest question, but the hardest for me to answer because it wasn’t planned. I had no experience, and I think that’s what helped – I was so ignorant. If I knew what it took, how many hours, and the sacrifices it took, I wouldn’t have been able to start it. But when I did make the brand, I had no idea. I was just making pants cause I thought it was fun. I made some men’s pants and actually sold them to a store. They liked it so much and gave it so much praise that was a catalyst for me to do more. Once I realized I was making and selling jeans, I basically went on the internet and basically said, “Hi my name is Steven and I made these jeans.” I had no idea there was this whole community of jeans people. And before I knew I was two feet in deep before you even realize what you are doing – that’s how it happened for me. I was already two feet in before I knew I was doing something that there was a community out there. It was all on accident. 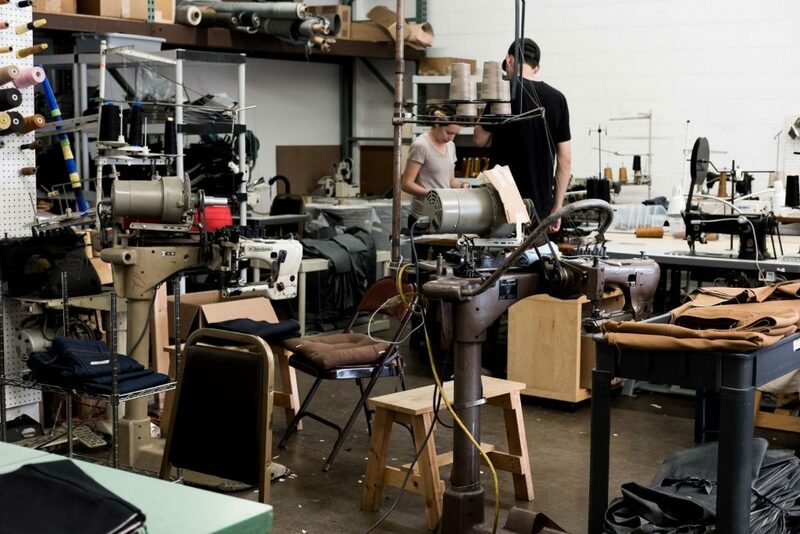 I never owned another brand similar to Railcar Fine Goods before I started making pants. I literally wore Urban Outfitter jeans, BDGs, before I started making Railcar. So I wasn’t an enthusiast that started a jean company; I turned into an enthusiast after I started the jean company. It seems completely backwards. How was it during those first few years where you were trying to get through that period of not experience full-fledge growth? Getting yourself to keep going? S: It’s stressful for sure. For almost thirteen years I held a day job at the same time. After four years into it (2014), is when I started to do jeans. So I worked both jobs, being at the metro from 9:30 pm to 6:30 am, and then I go straight to my Railcar factory at 7:00 am and work until 9:00 am or until I was tired. And I would nap in the car for about an hour-and-half, wake up, and work inside the factory until 3:30 pm. I’d go home around 4:00 pm and try to go to sleep real quick, wake up at 8:30 pm and eat dinner with Tawny, before doing it all over again. I did that for almost ten years. I quit my day job only about two-and-half years ago, and at the time it was partially due to Tawny and me having to take personal time for, and my job didn’t allow me to take anymore family medical leave. So now you’ve got your own business and running things as an owner. How is it? S: It’s not easy. I think there’s always a misconception about owning your own business. It is satisfying, but it’s not the gravy-train that people think of. Like I said, we work 10-11 hours a day, and come in on Saturdays and Sundays if we have to do something. It’s a lot of hours and a lot of work, physically and mentally. I quit a city union job – that was golden. But, this is nice and I don’t regret it at all. You seem to have a tight-knit crew of workers, how did you find your employees? S: Tawny is obviously my wife. Taylor is our niece – Tawny’s sister’s daughter. And then, Evan has been working with us since he was 14. I’m friends with his father and mother. Myah is Evan’s sister, so now she comes in after school and helps out everyday. Gabe used to be a customer and he actually graduated from my old high school. The sewers, both of them, have worked with us for six years now and they were our first sewers. So everyone is literally family or friends, and it’s like a big dysfunctional family. How is it working in the same company with your wife? Not many people get to have that experience. S: To be honest, this place is not that big and I barely see her. I see her for lunch and go home together. But as far as work, she’s running around doing her things and I’m doing my own things. It’s not like we’re sitting next to each other working side-by-side. She’s always been in the background, so there’s a lot of stuff that people don’t see through social media. But she’s a big part of what makes Railcar happen. Whether it’s bookkeeping, manually running the production, setting up orders, and working with our retailers on the relationship. Most people see your Instagram (and Stories) and see you at the shop at all hours of the day. 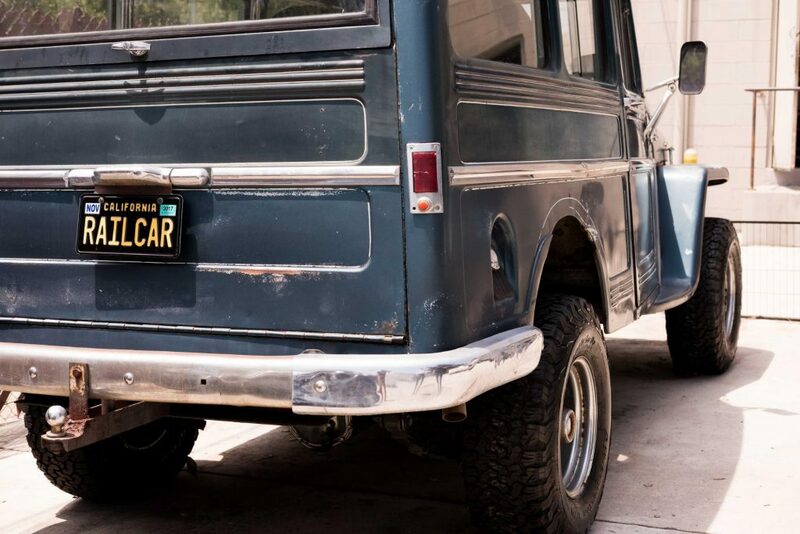 What do you like to do outside of Railcar Fine Goods? S: I spend time with my daughter and try to spoil her – looking for toys, making stuff for her, or planning stuff to do with her. I don’t want her on the computer, tablets, or anything like that. So I try to get her to play outside in the dirt. But in general, I just try to spend as much time as I can with her. Wrapping up, we always like to give our readers a chance to try out something good if they’re ever in the area. On occasion you post some food on social media, usually burritos. What’s your favorite burrito in Monrovia for the folks that want to come out to visit? 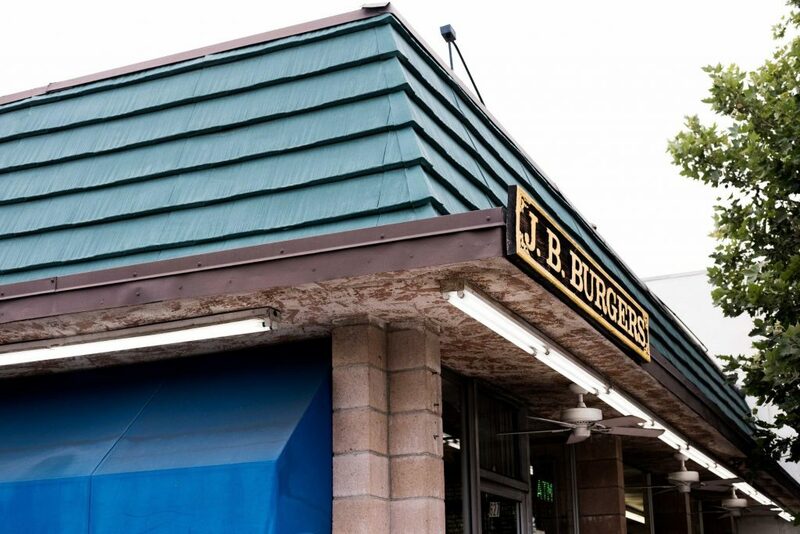 S: For the best breakfast burrito, just two blocks down from here – try out JB’s. It looks like a hamburger joint. For sit down, we like to eat breakfast across the street from JB’s called Jakes. You can find our latest Railcar Fine Goods offerings over on the Withered Fig store. 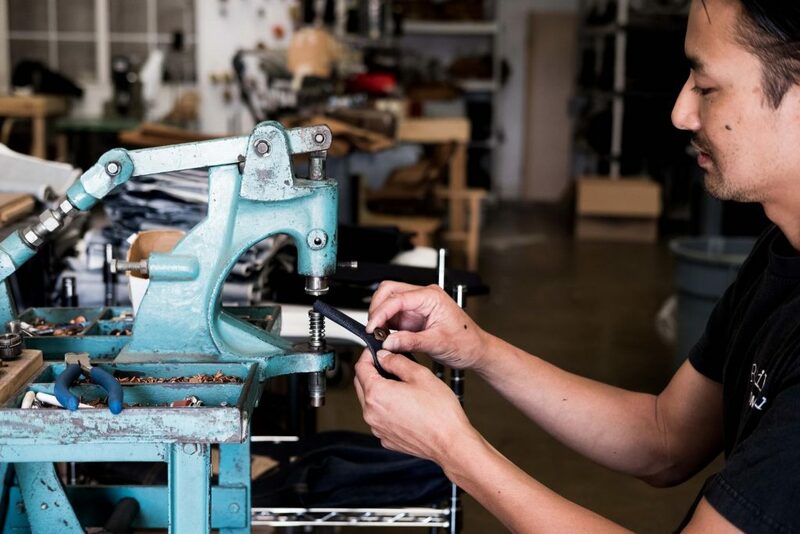 All Railcar denim and trousers are eligible for 25% off repairs, alterations, and other services through Railcar’s denim services website, using code “rfgservice25” on their website. Also, check out our 16 month review of the Railcar Camel Flight Trousers.